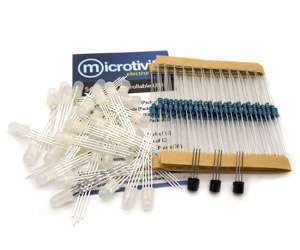 Comes with 3 2N2222 transistors and some resistors. 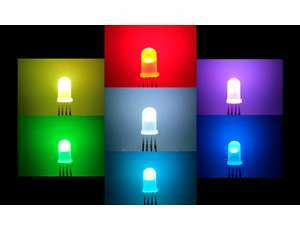 Connect them to different voltages to produce different colors. 30 RGB LEDs in diffused white casing. Enough to build a 3x3x3 cube! 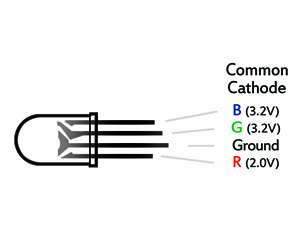 Three of the 4 pins controls Red, Green and Blue while the other one is Common Cathode. Packaged in a resealable bag for your convenience.